What PSBs need today is to get over the vexed issue of wage negotiation, and collectively work to promote an institutional environment that is professionally rewarding and intellectually satisfying for its employees. The banking industry has yet to recover from its crisis of stressed assets – and it faces a new situation, of a spate of strikes by bank unions. The first strike took place on December 21, and the next is scheduled for December 26. Both crises demonstrate that bank managements do not learn from the past. The principal issue for the first strike was the refusal of bank managements, led by the Indian Banks’ Association (IBA), to include the entire officers’ class in the ambit of bipartite wage negotiations – on the grounds that five out of 20 public sector banks (PSBs) had given a conditional mandate. Bank officers raised these issues in their notice of the first strike. The strike on December 26 has been called on the issue of the proposed merger of Dena Bank, Vijaya Bank and Bank of Baroda. There are larger issues yet: Restoring the health of the PSBs, reforming the human resources environment, and better social security for both serving and retired staff. At present, there are two parallel but inter-connected systems: one for non-supervisory staff (clerical and subordinate staff), collectively called ‘workmen’, and one for supervisory staff, or ‘officers’. Until the ’60s, the wages of workmen were fixed by centrally-appointed tribunals. The appointment of tribunals was invariably preceded by serious unrest, which destabilised the industry frequently. In 1966, this practice was replaced when workmen unions and the IBA signed the binding, I Bipartite Settlement (BPS). Since then, wages of workmen have been periodically revised through successive BPSs. The tenth and most recent BPS was signed in 2012, with validity till October 31, 2017. Pay scales for officers were standardised with effect from 1979/1983, as per the V.R. Pillai Committee recommendations (PCR). Since 1985, the IBA – holding a mandate from the government of India, the owner of the PSBs – and federations of bank officers’ associations (BOAs) have evolved a process of negotiating officers’ service conditions. Together they would arrive at an understanding, termed bipartite Joint Notes (JN). The last JN was arrived at in 2015, also with validity till October 31, 2017. These agreements covered all officers from the entry level up to those in the top executive cadre. PSBs have seven levels of hierarchy, all of them are governed by common regulations, known as Officers’ Service Regulations (OSR). Only Whole-Time Directors, including CEOs, are contractual appointees with their compensation fixed by GoI; they are not governed by the OSR. Workmen can become officers through internal promotions, so the salary structures of workmen and officers are also inter-related. This mechanism helped to promote stable industrial relations in the industry, with virtually no work stoppages taking place while these agreements have sustained. There have been token strikes on policy issues – privatisation, mergers, the voluntary retirement scheme – but they were tokenistic protests anchored in ideology. Well before the expiry of the existing settlement in October 2017, the unions submitted their charters of demands to the IBA. IBA continued the established practice with a mandate from GoI to negotiate with the unions. All the PSBs, however, did not give full mandate: five wanted the negotiations to be restricted to the wage revision up to the officers in scale III. The BOAs questioned the departure from the earlier system, and negotiations broke down. The current impasse arises from two new lines of thinking among the management of PSBs. One is that, since executives cannot be members of the associations, their salary should not be a subject of bipartite negotiation with BOAs. (That executives cannot unionise is fundamentally flawed, but needs a larger space to deliberate.) The second new idea is of linking compensation to performance. These have derailed the bipartite system itself. Both in principle and practice, the IBA stand defies logic. In 1974, itself PCR had recognised that the salary structure of supervisory staff of different grades/scales should be telescopic, as they are interlinked. Further, there cannot be watertight compartments regarding the role of the officers in respective grades. In principle, an executive in Scale VI heading a large branch, and a junior officer in Scale-II heading a medium-sized branch, have an identical role; only the business volume differs. It is common for officers to officiate at a higher grade when there are unfilled vacancies. All officers, irrespective of their scales, are governed by the same OSR. Keeping some classes of officers out of the common process of wage fixation can look like discrimination. Besides, the pay packages are anchored on the principle of internal relativity between various scales. Internal relativity is nullified when officers in some scales have a different concept of compensation. Another set of factors is also pertinent. The Government of India’s mandate is for all PSBs; it is not for a section of officers. When work is equal, an employee of ‘X’ PSB cannot be compensated less than her peer in ‘Y’ PSB. The PCR recognised this principle over four decades ago; for good reasons, it upheld the relevance of equal pay for equal work. 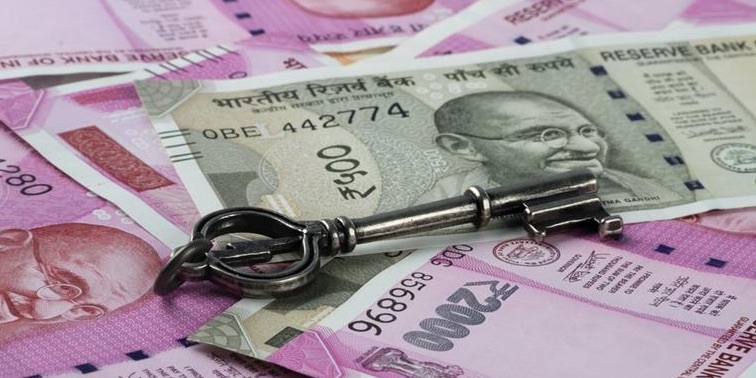 Different pay structures within the PSBs create another serious problem: when top-level officers of one PSB are transferred to another, what pay-scale should they receive at the new organisation? Linking wage revision to performance is unreasonable for other reasons. Most bank staff have no control over policy issues – decisions are taken by owners and owner-appointed boards. Large loans, which caused the other crisis, are sanctioned by each bank’s top officials, with very little say by others. Poor corporate performance, over which they have no control, cannot be used to deny a legitimate wage hike to the entire community of staff. Performance should be rewarded through incentives; wage fixation has to be related to both internal and external factors. This is what the unions have been demanding. A service industry like banking needs to work as a team. The challenges – upgrading technology, building skills, achieving better customer orientation, resolving stressed assets, and financial inclusion – demand collective effort. Seldom have PSBs undertaken an independent survey of their HR environment. One rare survey in 2006, identified serious risks of deepening frustration and alienation, low motivation, and fragile work-life balance. It highlighted the weakness of HR management at that bank, but the situation is no different elsewhere. Rather, it has worsened in the decade since. The scope of bilateral discussions needs to be widened to cover all these fields and issues. However, IBA’s new strategy ignores them. It will take PSBs back to the chaotic compensation system that prevailed before 1969. What PSBs need today is to get over the vexed issue of wage negotiation, and collectively work to promote an institutional environment that is professionally rewarding and intellectually satisfying for its employees. T.R. 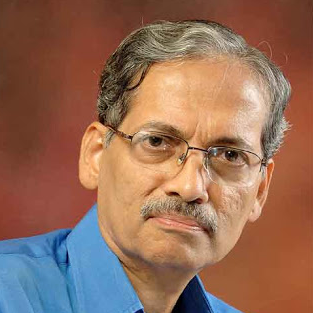 Bhat was joint general secretary of All India Bank Officers’ Confederation from 1995 to 2009. His book, Reforming the Indian Public Sector Banks-the Lessons and the Challenges, was released in April 2018.